Blogger's Note: I attempted to use the "Schedule" feature of Blogger to schedule this post to appear while we were underway; but I must have done something incorrectly because it was never posted. We are now a bit behind the boat in our posts. Coming up: a post by Patrick! 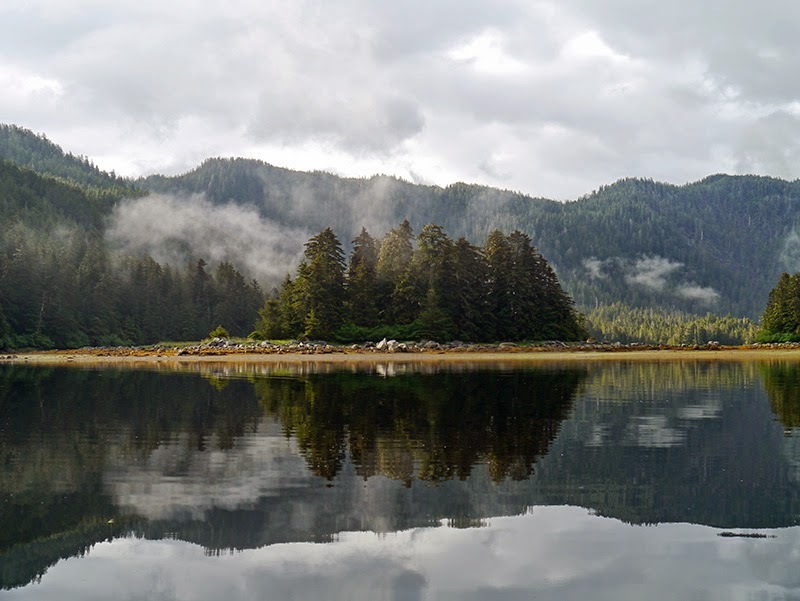 We made two side trips out of Sitka while we were there: one to explore some of the anchorages south of Sitka, and one to explore the anchorages to the north. There are numerous anchorages to choose from, and we just explored a few of them. 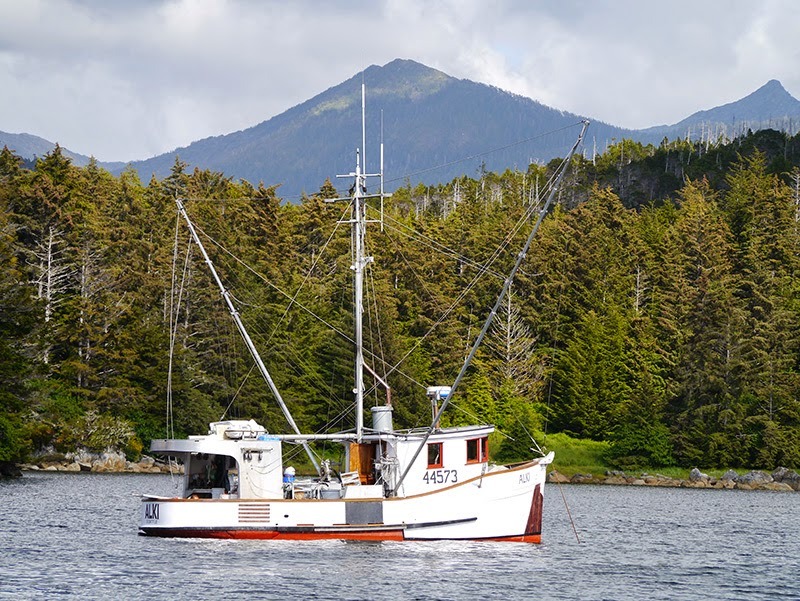 There is an interesting phenomenon that occurs around Sitka: The best anchorages are full of fishing boats. And it’s not because the fishermen are there to utilize those great hot springs or to watch the amazing wildlife: It’s because those anchorages are in close proximity to the fishing grounds. 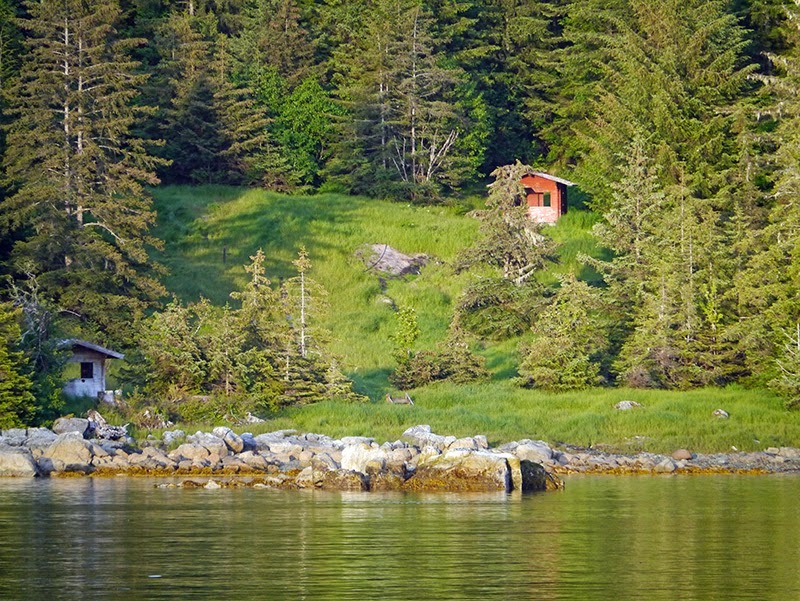 So some of the best anchorages in the Sitka area are not that secluded: But go there anyway. To the south, we visited Herring Bay and Hot Springs Bay. 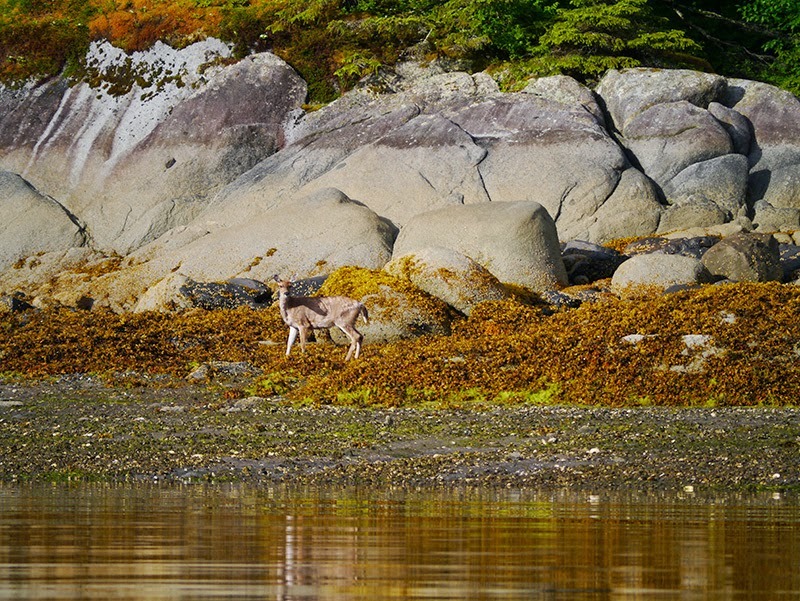 Herring Bay was our first northwestern anchorage since arriving from Hawai’i, and we had the place to ourselves (well, if you don’t count the deer, the eagles, the jellyfish, and the flatfish that is.) We spent two nights relaxing in this peaceful anchorage. We were there during a small craft warning with 25-30 knot winds and were very secure. We did some fishing en route to our next anchorage, Hot Springs Bay, and caught a lot of rockfish. We released most of them because they were too small. We kept one good sized one, which we paired with the flathead sole that Patrick had caught the previous night for dinner. Hot Springs Bay is probably not as secure as Herring Bay, but the weather was calm during the one night we spent there. 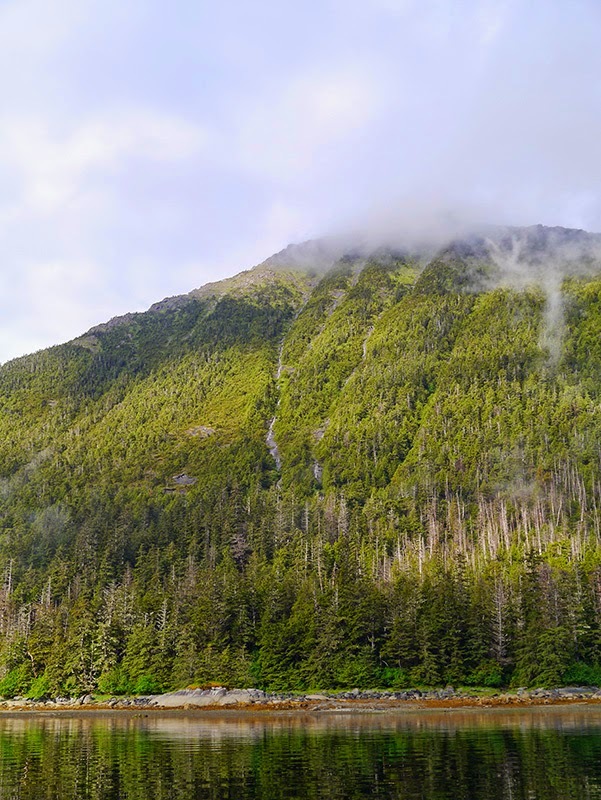 We went to Hot Springs Bay specifically to visit Goddard Hot Springs, but the anchorage itself was much prettier than I anticipated: an unexpected surprise! However, the anchorage is small, and we had company. Two trollers, one mothership (with two fishing skiffs that arrived later bringing the charter clients), and two large yachts shared the anchorage with us. The Forest Service maintains two hot spring shelters at Goddard Hot Springs. In old cruising guides, photos depict wooden hot tubs; but the hot tubs are now stainless steel with wooden benches surrounding them. The hot springs are extremely hot. We happened to arrive at a bad time, when the water pipe feeding the cold water spigot to the lower hot spring was broken. When we first attempted to take a hot tub, the upper hot spring was in use; so we took the lower shelter with the broken cold water spigot. We had to ease ourselves into the water---but could get into the water---although we weren't able to stay in for very long. Even so, it was a special moment, looking out on such a scenic vista while soaking in a natural hot spring. Patrick wasn’t planning on tubbing, and while we were cooling off the tub, a single-handed sailor showed up intent on a soak in the hot springs. 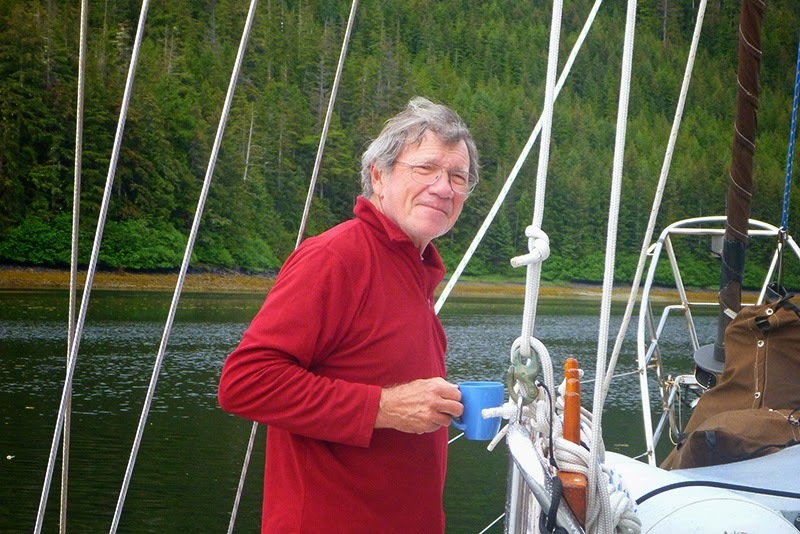 We gave him the newly cooled tub and went back to the boat, but not before having a nice exchange with him about sailing and Sitka in the early morning sun. 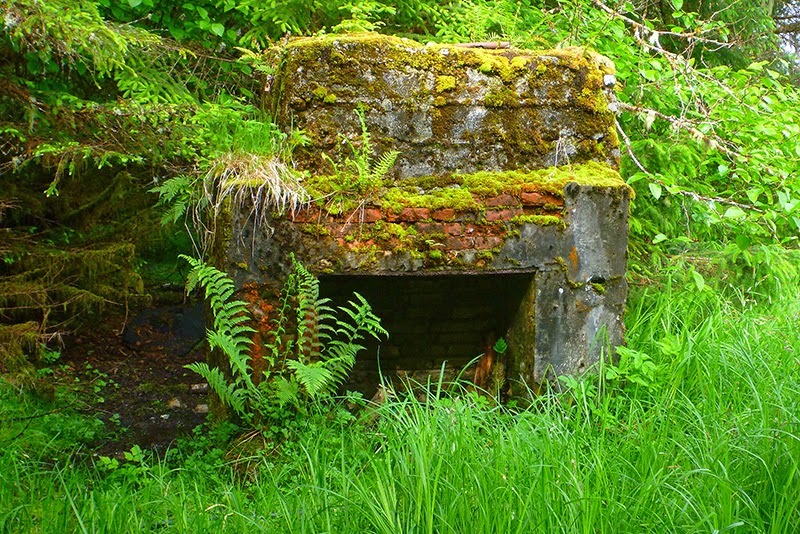 After returning to Sitka to take care of some business, we headed out again on a foray to some of the anchorages to the north. We did some fishing on the way and caught our first salmon, which provided two scrumptious dinners at anchor. 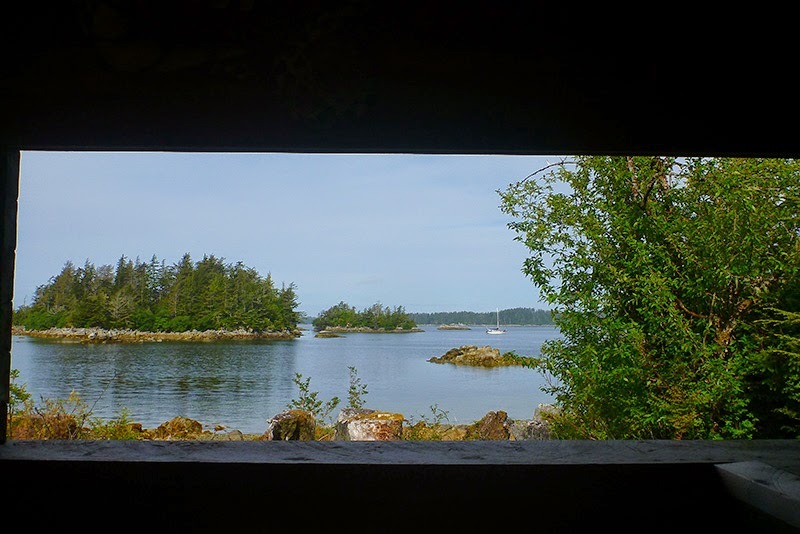 We first stopped in DeGroff Bay on Krestof Island, adjacent to Krestof Sound. The Douglass (Don and Reanne Hemingway-Douglass) cruising guide had indicated this as a secluded anchorage with lots of wildlife. It was secluded: We were the only boat anchored there. However, there were a lot of crab pot floats in the bay, and early the next morning, a skiff came in to pull some of the pots. We only stayed one night, but the bay didn’t reveal what I would call “lots” of wildlife. We did see deer and one seal. Patrick also hooked a starry flounder, which freed itself from the hook while we were trying to decide whether or not to keep it. The next day we continued up to Salisbury Sound. Our intention was to anchor in Kalinin Bay, and this we did. Again, the bay was occupied by several other fishing boats and small motherships with clients. However, it was a huge bay; there was plenty of room; and the scenery and wildlife were phenomenal. Due to all the rain, cascades of water ran down the granite cliffs under the screen of green trees. There were several creeks feeding the bay, one, surrounded by a large meadow at the head of the bay. 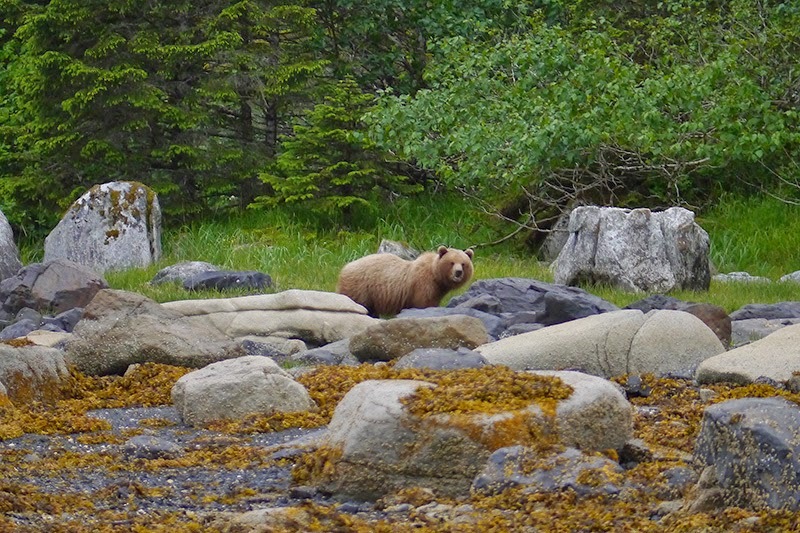 At Kalinin Bay, we did see a lot of wildlife, including grizzly bears! 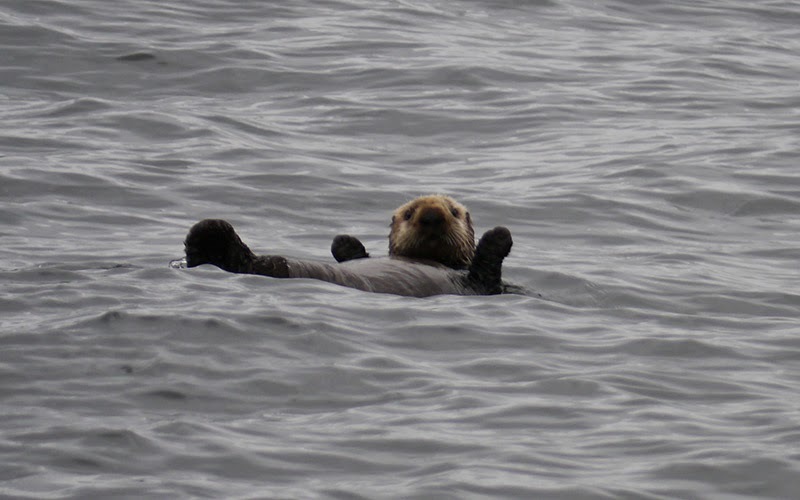 The bay must be full of shellfish, because we saw a lot of sea otters in the bay. We also saw deer, eagles, and ravens. After anchoring, we took the dinghy on a reconnaissance of the bay. Regrettably, we didn’t bring our cameras. We tried to take the dinghy up the creek at the head of the bay, but it was too shallow (at either high or low tide.) 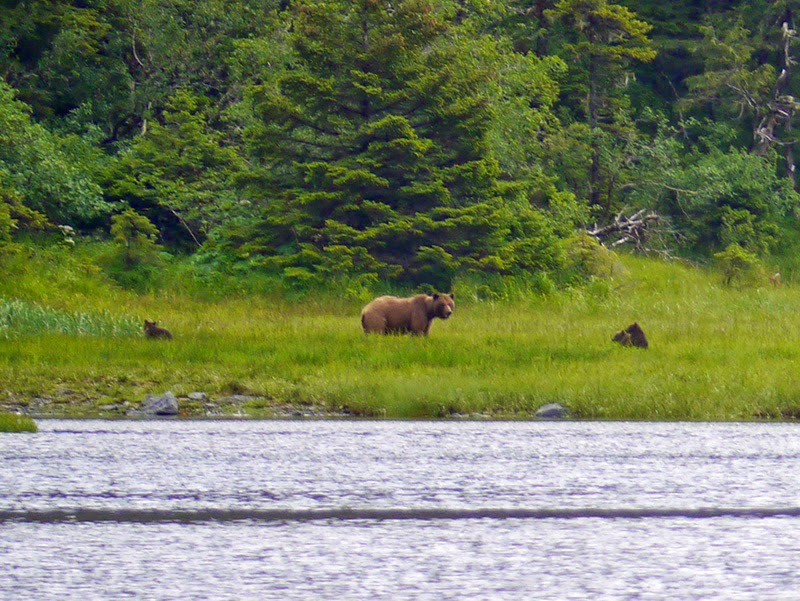 I stood up in the dinghy to get a view of the meadow beyond the creek mouth, and there I saw the unmistakable golden-brown form of a grizzly bear! After watching that bear for awhile, we continued along the shoreline. Patrick spotted the next grizzly bear, a young, solitary, chocolate-brown bear that we presumed to be a male. 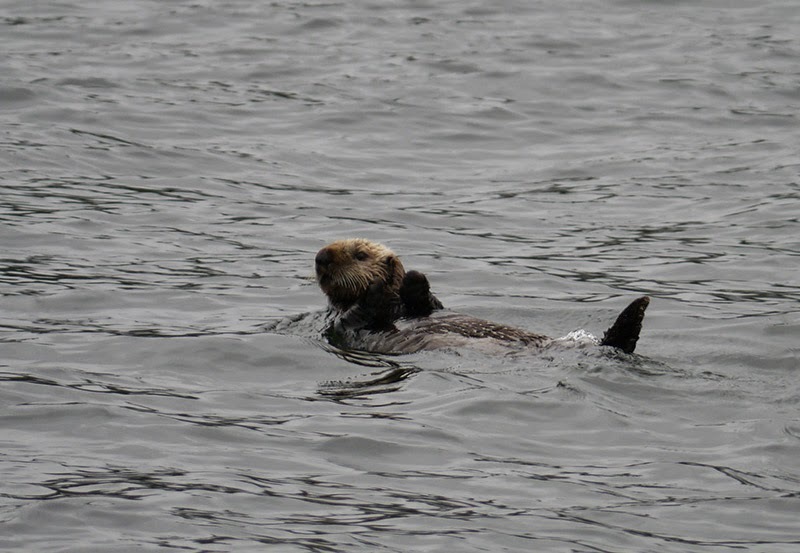 We watched him from the dinghy for quite awhile, as he leisurely made his way halfway around the bay, strolling along the shoreline and stopping to munch on tufts of grass here and there. We were too mesmerized by his powerful form, muscles rippling under strands of fur waving like prairie grass in the wind, to go back to the boat for our cameras. That evening, the young male appeared on the beach near our vessel. The crew of another boat motored over in their dinghy for a closer look and to take photographs, so we stayed on board. We wanted the other crew to have their moment, and we also did not want the bear to feel too harassed. 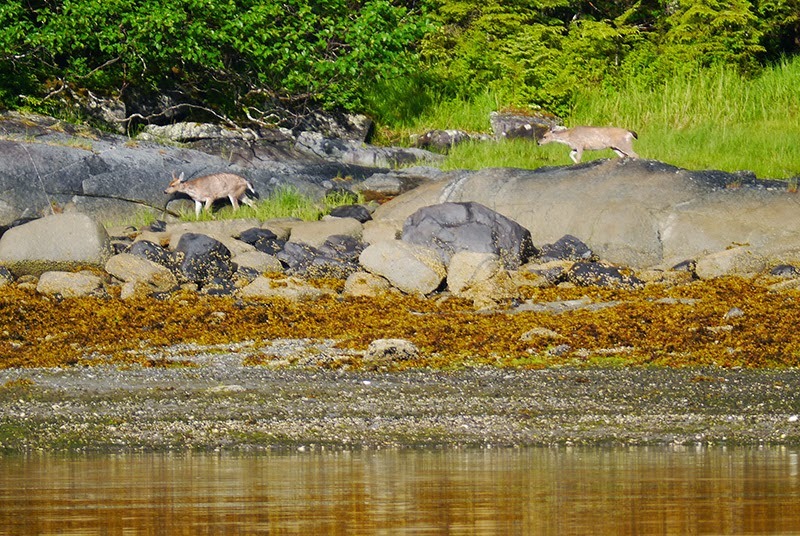 The next morning, we took the dinghy out again and saw a pair of deer along the shoreline. We could not get a good look up the meadow from the creek because the tide was too low, so we moved to a different viewing spot along the shoreline. I stood up in the dinghy to photograph the brown bear we had been observing the previous day, even though I knew she would only appear as a speck in the photo. When I got back to the boat and cropped (and enlarged) the photo, I was glad that I had taken some pictures. It’s always amazing to discover how much better the camera sees than the eye. Mama Bear had three cubs hidden in the grass! We never would have known it if I hadn't taken those pictures: It was probably a good thing we couldn’t get our dinghy up the creek. That afternoon, we photographed another large grizzly bear. We weren’t sure if it was the sow we had been watching for two days or a different bear. This bear seemed lighter in color and didn’t have any cubs with her. Although we looked in vain for “Youngblood” (my nickname for the young, presumably male bear), we didn’t see him on the second day at Kalinin Bay. 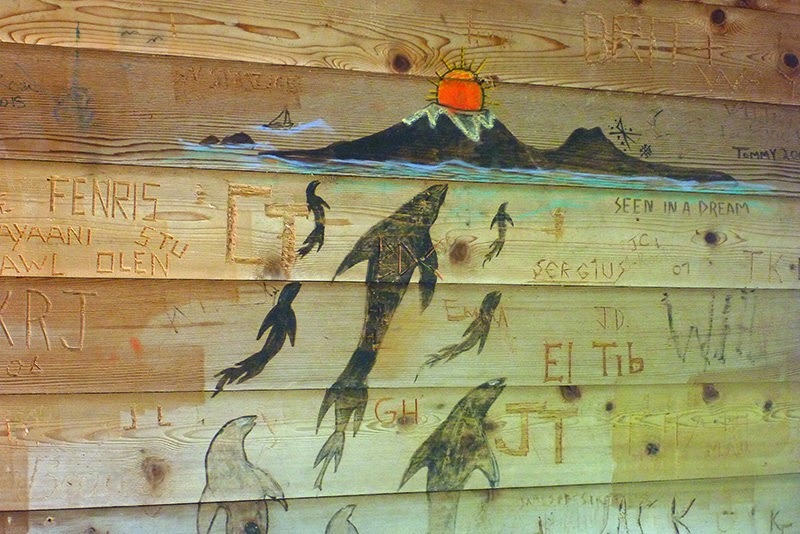 On our third morning in the bay, Youngblood was up circumnavigating the shoreline again. I spotted him near a large creek which---at some point in the year---will probably contain a salmon run. 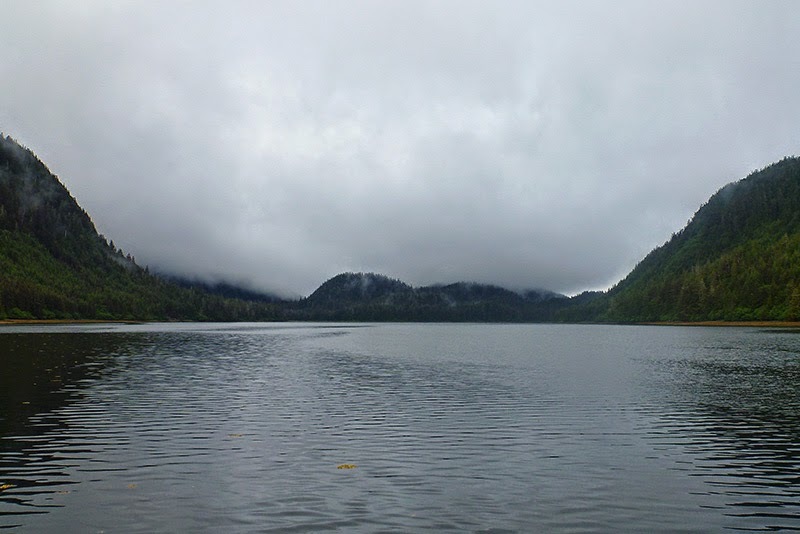 By the time Patrick and I got into the dinghy with our rain gear and cameras, however; the bear had ducked under the trees and was deep into the forest. Although we waited a long time, he never reappeared. We never got a picture of that magnificient beast, but he will live forever in our memories. And that is how it should be. 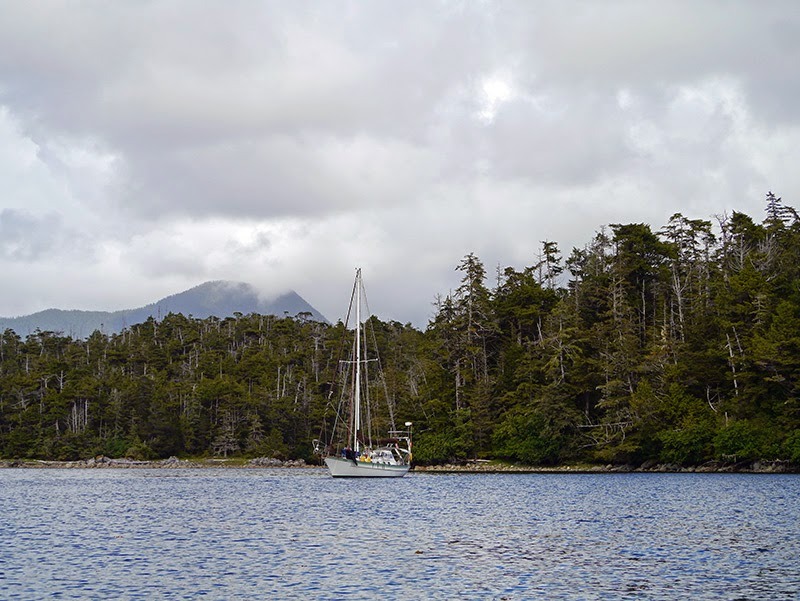 Our last anchorage on the way back to Sitka was an unnamed cove in the Magoun Islands. The anchorage only had swinging room for one boat. What I remember most about the anchorage are the bird calls you could hear from the boat: eagles, variegated thrush, and others unknown to me. At the head of the bay, there were also abundant shellfish---clams and mussels---as well as crab, flatfish, and rockfish. We didn’t know whether or not it was safe to harvest the shellfish at that time of year, so we let them be. 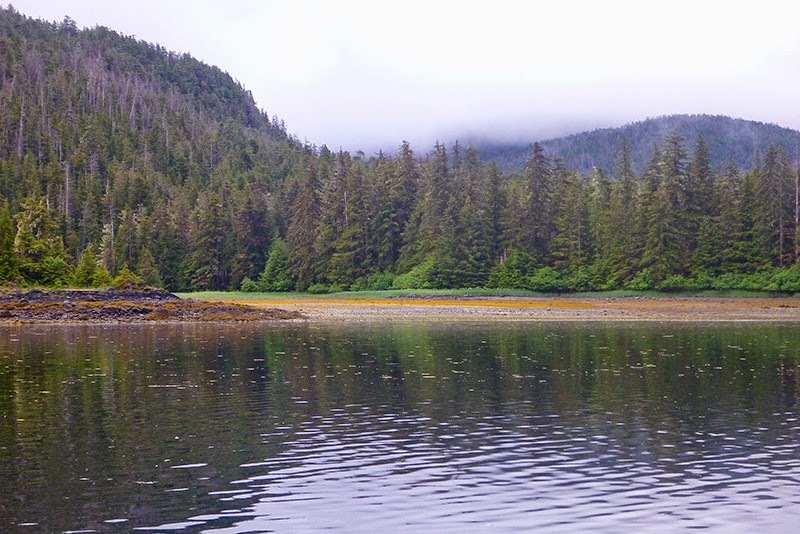 We didn’t go as far north as we originally intended (Double Cove near Klag Bay) because the weather was cold, wet, and miserable; however, we returned to Sitka feeling very content with our exploration to the north.